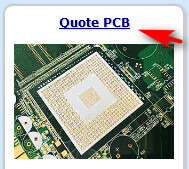 After you log in your account, from website homepage main window, find and click PCB Fabrication Quote. 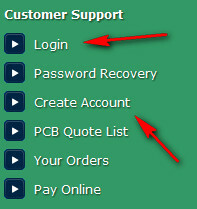 Follow the instruction go to the section 4/5, select the small selection window to open the hidden selection items. 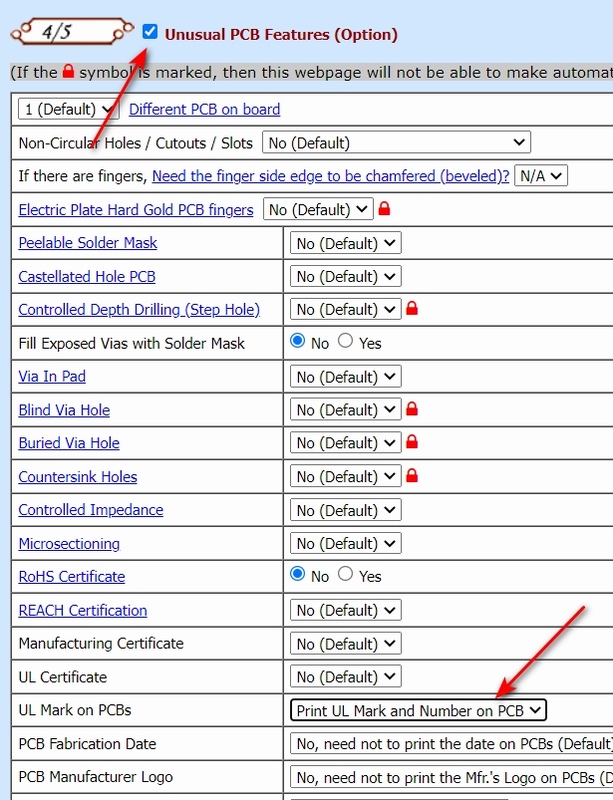 Find and select "Print UL Mark and Number on PCB" of UL Mark on PCBs.